3D modeling software is now an essential tool for a lot of industries. Engineers and designers are actually making the most of these advanced software tools, useful for many applications, from simulation to manufacturing. We have already made CAD software selections for many diverse applications on the blog. In this blog post, we are going to focus on the best design software that will help you to give shape to your technical parts for mechanical engineering projects. We will also see all the benefits of 3D printing and 3D visualization for mechanical projects. Follow the guide! If you read our blog, you should know it now: 3D printing is an amazing manufacturing method for both production and prototyping. 3D printing for mechanical engineering projects will allow you to make many modifications and iterations quite quickly and at a lower cost, which is very convenient for a prototyping process. Indeed, you will only have to use a 3D modeling software and make all the modifications that you need to improve your 3D models step by step. Using a mechanical engineering software could allow you to work directly for production. You could even use various materials to design really complex parts. You could even use metal 3D printing as it is allowing to create really accurate, heat resistant and well designed parts. It is for example used in the automotive industry but also for aeronautics and aerospace. Additive manufacturing has a lot to offer to your company. To do so, modeling and simulating are essential and you will need 3D CAD software with advanced features. Some 3D software solutions really have amazing rendering tools. Using visualization software or 3D modeling software with great visualization options can help you to get a better overview of your project. Indeed, getting a good and precise overview of a technical project before the manufacturing process will allow you to adjust and improve your parts efficiently. It is also a good method to correct the last errors that you have maybe missed while 3D designing. You need to find the best way to design a concept and show it to your customers? 3D visualization is certainly the best method you could find! You can easily modify your model with your ideas, and the customer’s inputs. If you are working on mechanical projects, you certainly know that design and analysis are essential. That is why we recommend you to use software with great analysis features, or another software tool, entirely dedicated to simulation and analysis, such as ANSYS. There are many software solutions with advanced features that will allow you to work on really technical projects. Here is our selection of the best software to work with for your next mechanical engineering projects. Find out all the modeling and design tools that you need. Fusion 360 is a great CAD software tool developed by Autodesk. This a cloud-based program, that will allow you to improve your teamwork thanks to a better communication around your mechanical projects. This program has advanced software tools, you will be able to work on solid modeling, mesh modeling and parametric modeling. If you are planning to work with this 3D software solution, be sure to check our tutorial on how to prepare a 3D file for 3D printing with Fusion 360. KeyCreator is a geometry centered 3D modeling software tool, perfect to create your 3D designs concepts. 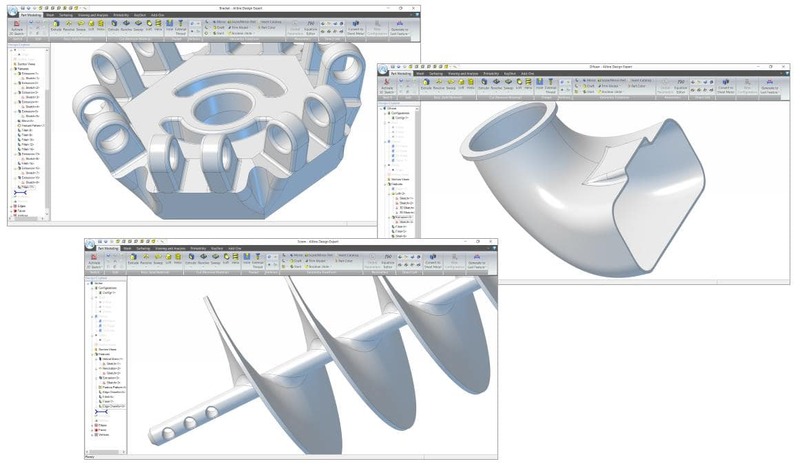 KeyCreator offers direct CAD modeling, 2 and 3 axis machining and a flexible design strategy. You can both work on 2D and 3D projects with this CAD program in order to design engineering projects. This software tool has 3 different versions: Standard, Pro or Max, all offering different features. You will surely find the software package that will fit your project. Here is one of the best modeling software tools available on the market to design your mechanical projects: Inventor. It has various modeling options and great simulation tools. No doubts, this CAD software solution will help you to improve your performance. DIS-TRAN, a company specialized in the conception of complex steel structure arrangements such as H-Frame Transmission Structures, are actually using this software solution in order to design their electrical engineering projects. It is the proof that Inventor can help you to develop any of your complex mechanical parts, even the big ones. Here is a tutorial to prepare your 3D file for 3D printing with Inventor. Solid Edge is developed by Siemens. It is the perfect 3D software for engineers for complex projects but also to give shape quite quickly to your ideas. It has a great 2D orthographic view functionality, really convenient for mechanical designers. It also has powerful engineering simulation capabilities for Computer Aided Engineering. This software is an essential and will surely allow you to go further with all of your technical 3D projects! NX is another program developed by Siemens PLM Software, it is allowing to work on conception, simulation and manufacturing. Their goal: improving your production process with an efficient program, offering a complete toolset perfectly matching your expectations. SolidWorks is the perfect 3D modeling software for engineers and 3D designers. 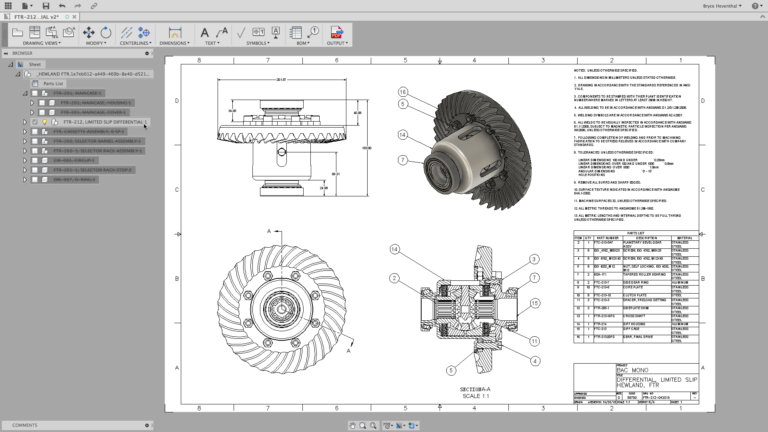 SolidWorks is a powerful and complete tool that will help designers and engineers to build innovative mechanical models. This 3D software has a user friendly interface and can be used for design, or to create machinery parts, for example. It will perfectly fit engineering students looking for a great tool to make mechanical drawings! We already saw in a previous post about car design programs that SolidWorks is used by automotive manufacturers such as The Knapheide Manufacturing Company, working on utility truck bodies, or the motorcycle manufacturer Orange Country Choppers. Catia is a professional software tool developed by Dassault Systèmes. Mostly used for aerospace projects, this program is particularly useful for complex and detailed designs. With this program, you can actually work on any product. If you are an engineer, it will perfectly meet your expectations to create your 3D CAD models, and it is really perfect for mechanical engineering projects. If you need some help to create 3D designs with Catia, check our tutorial! ProE (also known as PTC Creo or Creo Parametric) is developed by Parametric Technology Corporation, and is an engineering design software tool. It is 3D CAD software providing assembly modeling, finite element analysis, NURBS surface modeling, but also great features dedicated to mechanical designers. This is a good and complete software solution to do some rapid prototyping for your mechanical parts, but also to produce your end-use products. Mathematica is a technical computing system that could totally allow you to create solid parts for your future 3D printed mechanical parts. It is offering advanced features, such as 2D and 3D data visualization, function and geo visualization and animation tools. This program is particularly convenient for any scientific, mathematical or engineering project. If you want to start your 3D modeling project using Mathematica, check out our tutorial. Alibre is a parametric CAD software tool dedicated to mechanical systems. It is possible to use this 3D program to create quite complex parts. This mechanical software solution also has a good rendering tool. This 3D software tool has great features, perfect to develop, prototype or produce all of your projects. 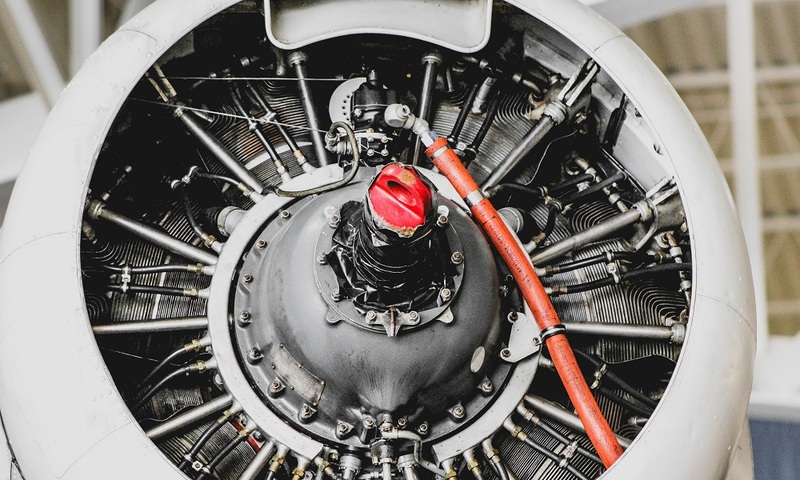 Are your ready to use one of these software tools to create your mechanical engineering projects? Share your experience with us, and tell us what software you are using to create your mechanical parts. If you need to 3D print your parts, upload your 3D files right now on our 3D printing service! If you are interested in 3D modeling software, be sure to subscribe to our newsletter and don’t miss any of our software selections!